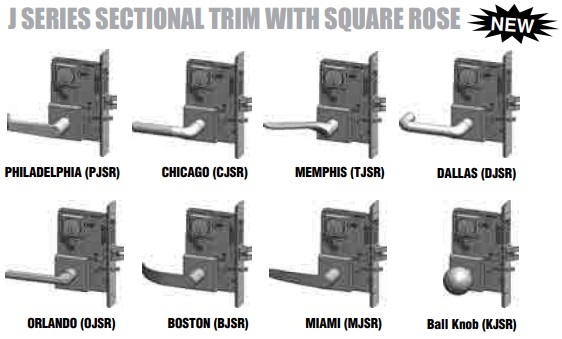 PDQ MR117 Mortise Lock - Grade 1 - J Series Sectional Trim is a Commercial Quality inexpensive lock for your Front Door. It is suited for installation in Offices, Hospitals, Schools and other Commercial Buildings. 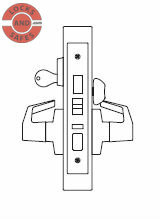 PDQ MR117 Mortise Lock comes with a Lifetime Limited Warranty. It is assembled in the USA by PDQ Industries Inc., Leola, Pennsylvania, and meets the requirements of the Buy American Act. Its trim and levers are made from Stainless Steel and come in Round Rose and newly launched Square Rose options. 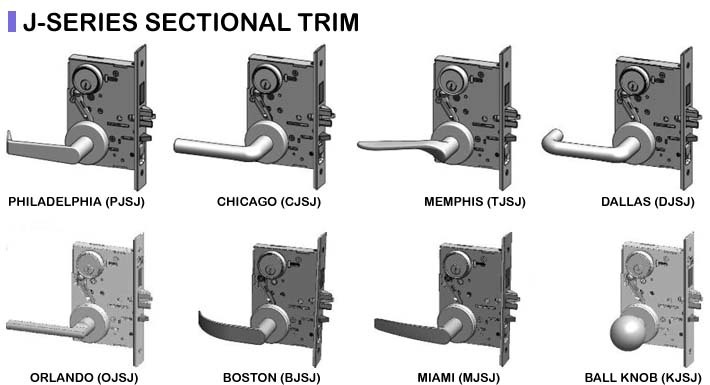 Choose from Solid Levers: Philadelphia, Memphis, Miami and Boston or Tube Levers: Orlando, Dallas and Chicago. Purchase more than one PDQ MR117 Mortise Lock and you can also specify whether you want all the locks to be keyed alike or not.